A little rain never got anyone down… right? :). 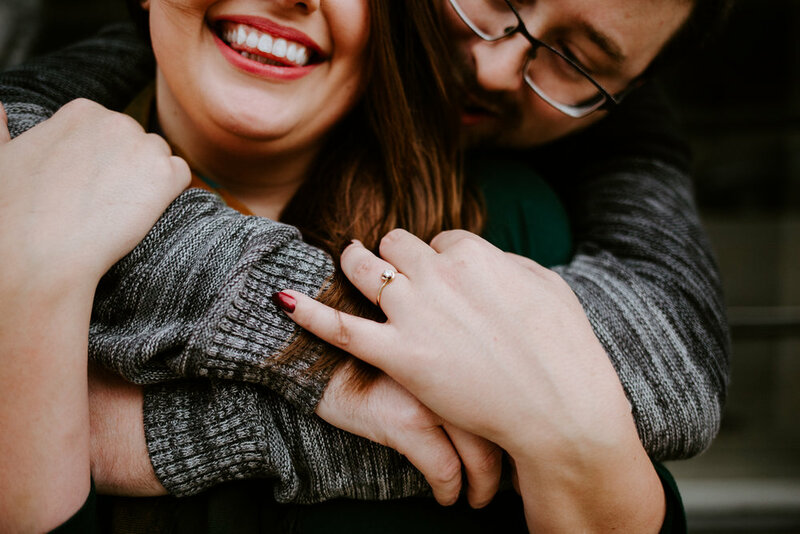 At least, no one could tell it was starting to rain for Megan & Zach’s engagement session! 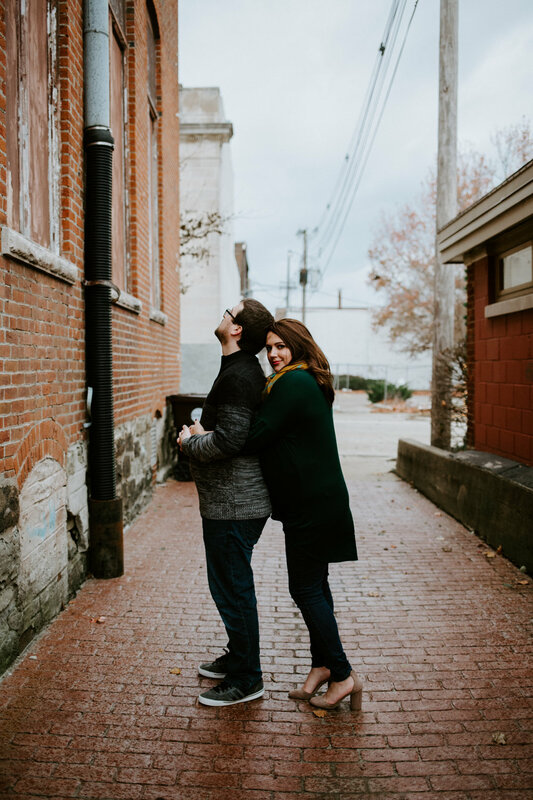 So, for their engagement session, we met up in the small little downtown square of Monticello, IL for a cute town feel. This was a new spot for me (which I loved! ), and we got so many great shots. 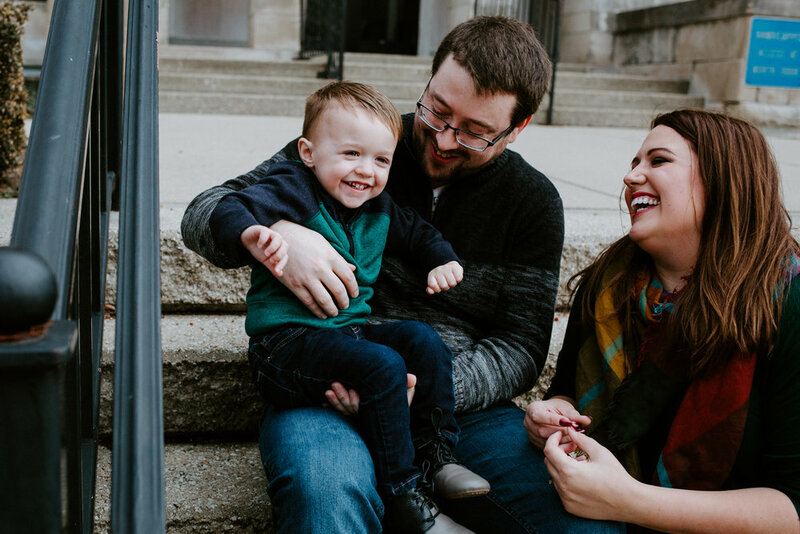 First, we tried to get a few quick family photos (can’t forget big man on campus, Mr. Clark!) and then after that we wandered around. It was so much fun finding the perfect spots, backdrops, colors, etc to make their session completely THEM. We had a ton of laughs and giggles, and honestly I just had a complete blast! 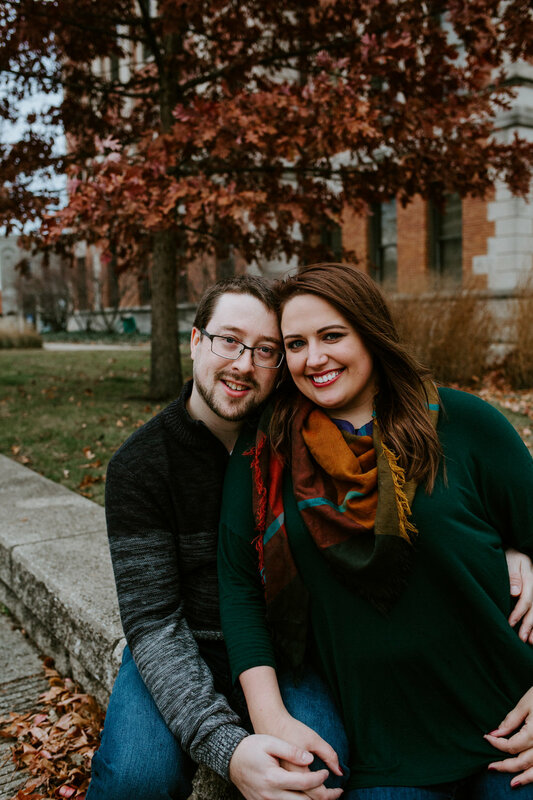 I cannot wait for their wedding in August!! 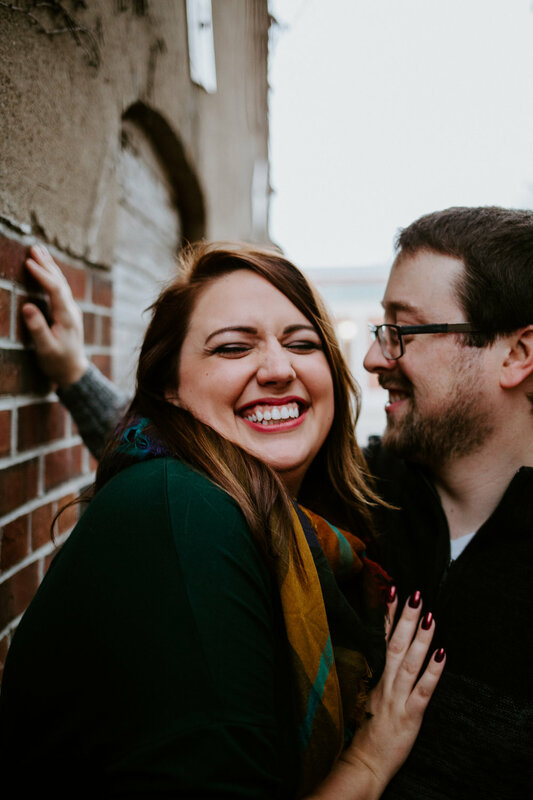 For now, here are some of my personal favorites from their engagement session!